Spectacular Death: We Run The Stuff You Wish YOUR Guild Did. - Home - Enjin - Legacy Anyone? Smart and sassy and oh so dedicated! Spectacular Death (A-Llane-US) is the total WOW experience with lots of fun at a casual pace. We see and go to all places in the WOW universe from classic to current content, PvP and arena. This is no-pressure raiding at its finest with friendly, helpful people interested in working through all WOW has to offer together. We will never have a realm first in any endgame, but we will have the most fun when we arrive. Our "race" to see everything is more of a saunter with an emphasis on fun. Our guild motto is "Here. Hold my drink and watch this," so you can see where our emphasis lies. This guild is not for everyone, however. You must review the Code of Conduct before asking to join. It is also recommended that you read our Raiding Guidelines as well. For any questions about the above information, please talk to Gimmlette or any officer. If you are interested in hopping on the bus for the ride, please fill out our application. You will be contacted by Gimmlette or the membership officer after the application is received. Follow us on Facebook and Twitter for more hijinks and fun. To the left, you'll find a poll asking about resumption of our Legacy raiding group. We we last saw our intrepid level 80's, they were struggling against the giant purple mosquito known as Onyxia. What we discovered is that at level, Onyxia is a hard either 10 or 25-person fight. We're so used to flexible raiding that these hard caps kind of throw us for a loop. Blizzard has not moved flexible raiding onto all raids. If we were to run Onyxia again, we need either 10 or 25 people. 18 people, at level, doesn't work. So, we set aside the idea of Legacy raiding for a time. What is Legacy Raiding, some of you ask? In our iteration, you level a toon to a specific level and freeze the experience. That toon stays at that level. A number of us have level 70 and 80 toons just sitting around waiting for the next chance to run content. This is our way of providing -- for those who are interested -- as close to what it was like to run certain content. We can't emulate exactly, a specific expansion's raid experience because the spells and talents are quite different from what it was like. What we are doing is coming as close as we can for those of you who never ran some content at level. This brings us back to the poll. We officers were discussing restarting the Legacy group. There are a number of possibilities for content we could run. We could do 10 man content and rotate people out, assuming we have over 10 people wanting to do some content. The level 70 group's last raid was Karazhan, I think. We never finished Blackwing Lair or Ruins of Ahn Qirag at level, atlhough we gave them each a try. After Karazhan, the level 70 group was put on hold as we set our sights for level 80, which was a touch more forgiving. One of the things we did was get people Herald of the Titans. 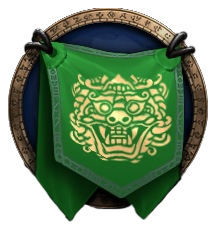 We've been doing this since, I think, Mists of Pandaria. This is an undertaking and it requires specific gear levels in addition to not beling over level 80. We had to quit as it was not tuned very well and Algalon would one-shot tanks. It didn't seem like this would be fixed even though the WOW Community requested it. 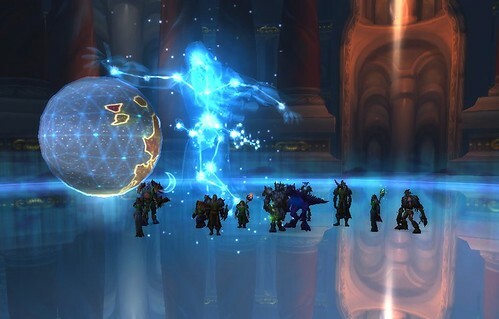 With the amalgamation of 10 and 25-person Ulduar into one raid, Blizzard changed the requirements for the achievement. We are thrilled that it's still available to obtain. After some discussion, we'd like to offer people the chance to get this. Unlike other raids, Algalon has become a flex raid. This means we do not have to limit the run to 10 people. There are gear requirements, but I won't post those at the present time. Right now, I am just gauging interest. You first step would be to level a toon to 80 and freeze the experience. It does not matter what the toon is. It should be something you will play and have fun playing. Once the toon's experience is frozen, we will do gear runs to get people geared up for this. So, please vote in the poll and, if you would, sign below if you are interested. If you sitll have a level 80 toon and would be willing to help, I'd like to know that as well. Getting this achievement requires work, but not nearly as bad as trying to down Mythic Kil'jaden. I still have nightmares about that mess. The Algalon fight is one of my favorites. Please vote to the left and comment below. Group Pay for this website!